Sean wrote in to ask a question about dealing with heavily compacted soil in his lawn. "I purchased a soil probe last summer to test watering coverage and moil soil. Unfortunately the soil is so compacted that I couldn't get the probe into the ground more than 3-4". Lawn aeration and top dressing with compost have little to no effect. Should I remove existing turf, rototill in fresh compost and seed/sod or continue aeration and top dressing?" Sean, thanks for taking the time to write to me. Dealing with soil compaction can be a difficult and there are no quick fixes. The short answer is I would continue with aeration, aiming for at least 20 holes per square foot or more then top dressing with a good compost. Rototilling your lawn is not only a lot of work but can leave you with problems such as uneven lawn surface, create a hard pan compacted layer and brings up a lot more weed seeds than aerating. Before deciding on how to best fix soil compaction it's important to determine why your soil is compacted. Now for the long answer. What Causes Soil Compaction In Lawns? The primary cause for compacted soil in lawns is foot traffic. This isn't something that can be fixed because a big part of having a lawn is enjoying it. You walk on it, kids and pets play on it, etc. It's just not something you can avoid. Soil gets compacted more when it's wet so if you can avoid walking on your lawn and cutting it when the soil is very moist it will help alleviate some of the problems. If there are high traffic areas you may want to consider installing some sort of path. Gravel, stone, pavers, etc. If there are areas of your lawn where water pools when it rains you may want to do some regrading and adjust any drainage. Watering your lawn too frequently can also cause compacted soil in your lawn. Raindrops as well as water from sprinklers not only keep the soil moist but their impact compacts the soil. Aim to water your lawn deeply and infrequently. The texture of your soil as well as it's mineral composition will also effect the porosity and resistance to compaction of your soil. 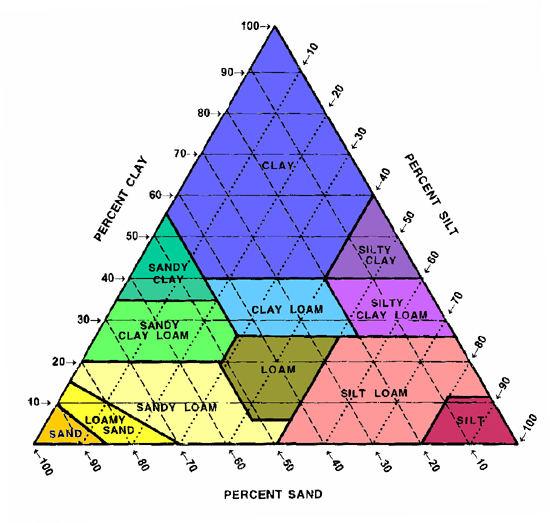 The best type of soil to have for lawns is a loamy soil that is about 40% sand, 40% silt and 20% clay. I would recommend you send a soil sample to your local extension office. 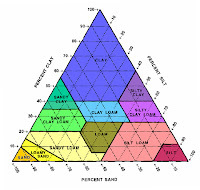 Make sure you get a test that includes a soil textural analysis. It will also indicate the fertility of your soil as far as macro nutrients such as nitrogen, phosphorus and potassium that can help you determine your fertilizing schedule as well as the pH of your soil and what you need to correct it. A good amount of organic matter in your soil can also help with soil compaction and I would aim for at least 10% organic matter content. For a textural analysis you can also try the jar method but since you're dealing with a persistent problem it's important to get a better understanding of your soil including it's pH, OM content and calcium/magnesium content. Your issue may also be due to a low topsoil depth. In some areas there may be insufficient topsoil to get a healthy lawn. Take a spade and cut out a 12" x 12" square of sod, then dig down about a foot and examine your soil profile. You want at least 6" of good topsoil but the more the better. If you have a very shallow top soil zone I would consider rototilling to improve the soil quicker. Ever since switching to organic lawn care practices I've noticed increased earth worm activity in my soil. The worms aerate the soil as they move around and they help incorporate organic matter. Synthetic fertilizers, herbicides and other lawn chemicals discourage earthworm activity. Mulch mowing your lawn and using organic fertilizers make the earthworms much happier. Improving your soil doesn't happen overnight, expect at least a couple of years until you get your soil where you want it but you should see some results of your efforts the first season. For now I would stick to heavily aerating your lawn (20-40 holes per square inch) and top dressing with a good compost mix (1/2" or more depending on how heavy you aerate). Switch to organic lawn care practices to help increase organic matter, microbial and earthworm activity unless the results of your soil test or a shallow top soil depth indicate you need more drastic measures like rototilling.